I recently re-read an old and familiar friend: J.R.R Tolkien’s ‘The Lord of the Rings’ for the first time in 15 years. It’s one of the most well-known and widely read books in the English language – and as a consequence many theories have been devised about it. In particular, many people have suggested that it was in some way based on, or is a reflection of, the Second World War which took place whilst Tolkien was writing it between 1936 and 1949. Other people have suggested that it contains allegory or hidden meaning – it’s very common, for instance, to see the character Gandalf as a Christ figure. He falls apparently to his death while defeating an appalling enemy in order to rescue his companions but later returns transformed from Gandalf the Grey to Gandalf the White. 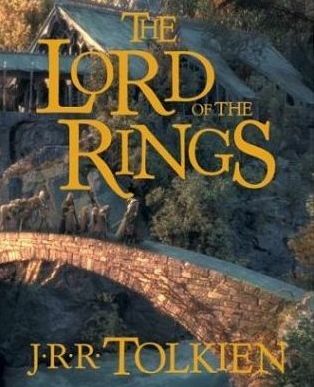 “The Lord of the Rings has been read by many people since it finally appeared in print; and I should like to say something here with reference to the many opinions or guesses that I have received or have read concerning the motives and meaning of the tale. The prime motive was the desire of a tale-teller to try his hand at a really long story that would hold the attention of readers, amuse them, delight them, and at times maybe excite them or deeply move them. That seems very clear, doesn’t it? 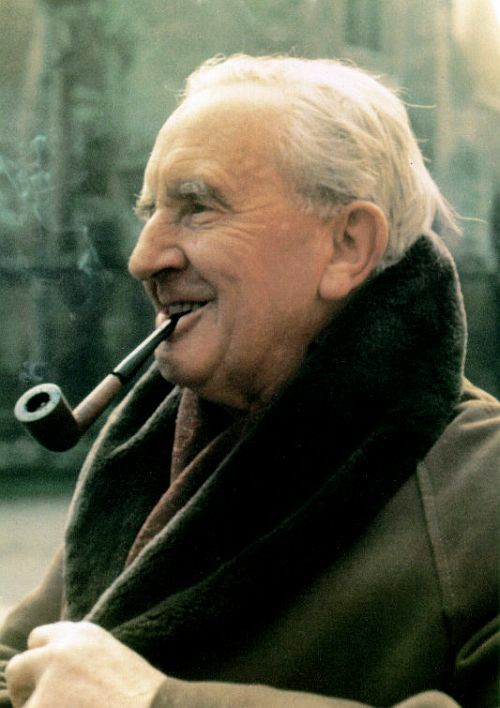 Tolkien states categorically that there is no hidden meaning or message in the book but that he wrote to entertain and perhaps succeed in moving his readers emotionally. Unless we believe Tolkien to be deliberately lying then shouldn’t we take his own words at face value? Despite this the theories persist which flatly contradict Tolkien’s own statements. This is an ongoing trend which has affected the way that books have been read and analysed over the past half-century. Instead of trying to understand what the author is trying to say, books are re-interpreted using the views of the reader and made to say things the author never intended and sometimes things with which the author would profoundly disagree. And if this has been done for ordinary books, then inevitably exactly the same thing has been done to the Bible. 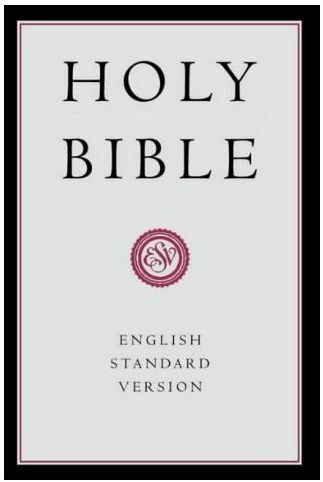 Bible books (as well as Tolkien) are subjected to ‘feminist interpretations’ or ‘environmental readings’. We must listen to what the author says is his intention. The fact is that to say the reader’s experience of a book defines its meaning is nonsensical. If I see a notice on a lawn which reads ‘Keep Off The Grass’, the intention of the author of the notice is clear: he doesn’t want me to tread on his lawn. I don’t have the right to reinterpret that notice because I feel that walking barefoot on the grass would allow me to be ‘one with the lawn’ or to dismiss the meaning as an overreaction of a man damaged in childhood by an authoritarian father. If I can simply believe what I like about anything I read then language has ceased to have any meaning. And since language and communication is part of the way that man is made in God’s image I am actually saying that God cannot communicate meaning clearly and unambiguously. In practice, anyone who consistently lived in such a way would end up destroying their lives and the lives of those around them – judges are not sympathetic to people who reinterpret laws to suit themselves. Psalm 51: To the choirmaster. A Psalm of David, when Nathan the prophet when to him, after he had gone in to Bathsheba. “Have mercy on me O God …..
Luke (1:1-4): Inasmuch as many have undertaken to compile a narrative of the things that have been accomplished among us, just as those who from the beginning were eyewitnesses and ministers of the word have delivered them to us, it seemed good to me also, having followed all things closely for some time past, to write an orderly account for you, most excellent Theophilus, that you may have certainty concerning the things you have been taught. John (20:30-31): Now Jesus did many other signs in the presence of the disciples, which are not written in this book; but these are written so that you may believe that Jesus is the Christ, the Son of God, and that by believing you may have life in his name. 2 Peter (1:12-16): Therefore I intend always to remind you of these qualities, though you know them and are established in the truth that you have. I think it right, as long as I am in this body, to stir you up by way of reminder, since I know that the putting off of my body will be soon, as our Lord Jesus Christ made clear to me. And I will make every effort so that after my departure you may be able at any time to recall these things. Jude (v2-4): Beloved, although I was very eager to write to you about our common salvation, I found it necessary to write appealing to you to contend for the faith that was once for all delivered to the saints. For certain people have crept in unnoticed who long ago were designated for this condemnation, ungodly people, who pervert the grace of our God into sensuality and deny our only Master and Lord, Jesus Christ. Of course many authors, including some of the Bible writers, never tell us what the purposes or intentions of their books are. And there may be further reasons beyond those they state why they might have written what they did in the way they did. Tolkien will have had other motives and reasons for writing the book than the ones he tells us about. It may have been a form of escapism during those hard years. He tells us elsewhere in his foreword that some of the chapters were written in installments and sent as a serial to his son serving in the RAF in South Africa. It is fair to ask what might have motivated an author to write in the way he did – that can sometimes help us understand a book better. But we cannot impose our ideas and interpretations onto a book – we must listen to what the book is saying to us. An author cannot of course remain wholly unaffected by his experience, but the ways in which a story-germ uses the soil of experience are extremely complex, and attempts to define the process are at best guesses from evidence that is inadequate and ambiguous. It is also false, though naturally attractive, when the lives of an author and critic have overlapped, to suppose that the movements of thought or the events of times common to both were necessarily the most powerful influences. 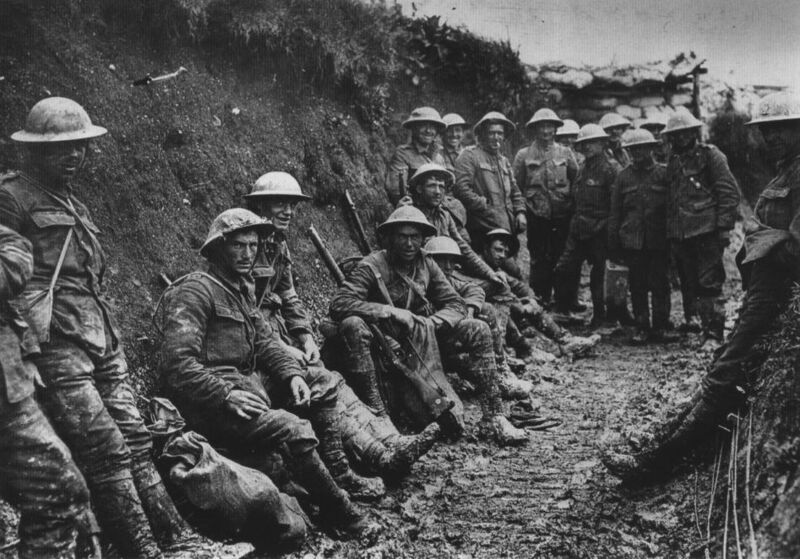 One has indeed personally to come under the shadow of war to feel fully its oppression; but as the years go by it seems now often forgotten that to be caught in youth by 1914 was no less hideous an experience than to be involved in 1939 and the following years. By 1918 all but one of my close friends were dead. This suggests Tolkien’s own experience of fighting in the First World War was much more formative of the viewpoint he writes from than his experience of the Second War. In the case of the Bible we again have to remember that we may be hearing from more than one world-view: God’s and that of the human author. When we hear God’s world-view – for instance where a prophet records God’s direct speech or message – we are listening to a perfect world-view, a viewpoint that we must believe and trust entirely. At other times we are listening to the author’s own personal viewpoint: David’s sorrow and guilt over his sin. Jeremiah’s complaints and prayers to the LORD. Or Paul’s anguish over his own countrymen having rejected Christ (Rom 9:1-2). Understanding a writer’s outlooks and world-views should help us understand their words better – not change the meaning of their words. There is little doubt, for instance, that Tolkien’s Judeao-Christian world-view (he was Roman Catholic) influenced his stories: themes such as weakness triumphing over the powerful, a king serving in obscurity until being revealed in triumph, people laying down their lives to save others, and so on come through strongly in his writing. I’m certain that Tolkien’s account of Gandalf’s return was influenced by his familiarity with Christ’s resurrection but that is very different from saying that it is an allegory of Christ’s resurrection. So is there any value in these reader-defined approaches to literature? The reader is free, says Tolkien, to apply what he reads to his own thoughts and experience. If the heroism and valour of a character in a story reminds me of Christ’s infinitely greater heroism and valour I can validly be reminded of that. If an author describes a wasteland caused by horrible machinations of a selfish tyrant, I can draw a parallel with the polluted wasteland around an exploded chemical factory or melted down nuclear reactor. But I cannot blindly read those things back into the story or the author’s intent. And when we think about the Bible it must be this way round. How can we dare to come to God’s words and impose our ideas and experiences on His Book? It is his words which change us. We do find the experiences and wisdom of people who lived thousands of years ago apply to our lives, show us how to think and how to understand the world around us. The Bible is a book that changes us and applies to us. The one difference is that applicability no longer lies in the freedom of the reader – we find God’s Spirit applying those words to us and we don’t have the freedom to reject or ignore them. When I read ‘The Lord of the Rings’ I find that Tolkien has succeeded in his aim: he holds my attention, amuses and delights me. Doubtless that’s because to a significant extent I share his worldview. And if I stop to think I can find a hundred different ways to apply it to my experience and the world around me. But it doesn’t actually matter – if someone else finds no pleasure in the book, if they find it long and dull, then we can agree to differ. But the Bible is different – it isn’t optional. It isn’t written to amuse or delight. I must make every effort to understand the purpose and the meaning and intent of the author because it has been written for me just as much as for the original readers. The interpretation of God’s Word is not a free-for-all which depends on my experiences and ideas – the Bible must reshape my thinking and interpret my experiences, change my world-view, and above all lead me to know and love the Great Author.